Can 1080p IP Security Cameras Be Enough for Identification of License Plate and People? Most IP camera companies currently offer 1080p IP security cameras. However, here comes the question: would 1080p IP security cameras be enough for identification of vehicles and the general information on people? If you want to know whether your 1080p IP security cameras can identify the license plate and the general information on people, a parameter — PPF (pixels per foot) — can tell. The parameter means that you need to calculate the proper lens and resolution combination for identification. How does PPF work? How can you reach this figure? To arrive this figure, you simply divide the camera’s resolution height (e.g. a 1080p camera is 1920 x 1080 pixels, so the horizontal resolution is 1920) by the field of view. So the calculation formula is: PPF= the camera’s horizontal resolution/the field of view. Most experts agree that for proper identification of facial and license plate recognition, the minimum measurement should be no less than 40 PPF. In order to know clearly whether your IP cameras can identify a license plate or a person, let’s set the field of view of a subject (a car or a person) is 40 feet. If the PPF (PPF= the camera’s resolution height/40 feet) exceeds 40 PPF, this kind of IP security camera can be enough for identification of vehicles and general information on people at 40 feet field of view. Well, now let’s calculate the PPF of 720p, 1080p and 1440p IP security cameras together to confirm whether these high resolution cameras are license plate recognition cameras (LPR cameras). At 40 feet field of view, 720p IP security cameras cannot identify license plates and people. At 40 feet field of view, 1080p IP security cameras can allow you to recognize car/vehicle number plates and the general information of people. At 40 feet field of view, the PPF of 1440p IP security cameras is far more than 40. You can see car/vehicle number plates and the facial features of people clearly compared with 720p and 1080p cameras. 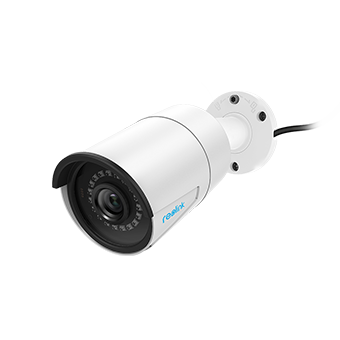 Thus 4MP (1440p) IP security cameras are currently the best cameras for number plate recognition for residential use. FYI: To help you choose the right megapixel resolution IP security camera of achieving your objective level of detail, you can get some reference in the facial and license plate recognition chart. From the above analysis, you can see that whether your cameras can identify vehicle and the information on people mainly depends on the camera’s resolution height and the field of view. 720p and Full HD (1080p) IP cameras have definitely made a significant contribution to security and surveillance. However, with more and more IP security models having upwards of 4 megapixels and the cost of the technology dropping, why do you stop there? Keep it in mind that no amount of security video will help you if it’s blurry, jittery or otherwise distorted. Look for a camera that offers the highest possible resolution. Most security camera companies currently offer 1080p (often referred to as Full HD), but some top security camera brands are offering 1440p and 5MP super HD security cameras. In terms of pure resolving power, I think it’s safe to say a higher resolution is definitely better. If you want to get more information, please don’t hesitate to get in touch with one of our experts. I’m out of get some cupcakes, maybe 3 of them. Do you want to join my afternoon tea? This entry was posted in Home Security FAQs and tagged 1080p Security Cameras, read license plate, recognize plate numbers. This was very useful! I only wish I had read it before I bought my cameras. I only found this article after wondering why all the cars passing by seem to be just out of reach in trying to read license plates. There were some confusing statements, though, that I think are unclear, specifically in the discussion of “field of view”. It talks about the field of view of an object. 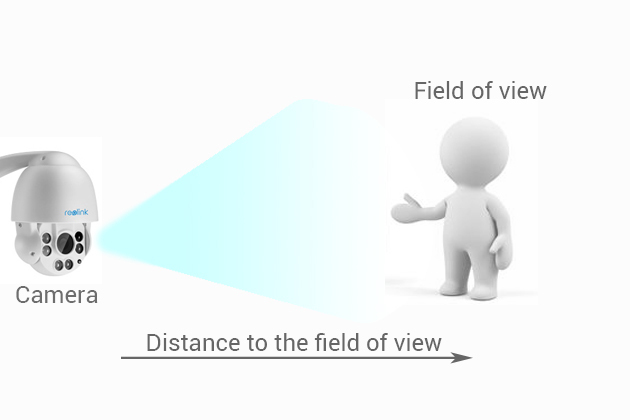 My understanding at the moment after reading around, though is that the field of view is basically the distance from one side of the frame to the other. This varies depending on distance from the camera. The farther you move from the camera, the larger the field of view. Also, it was probably a poor choice to use a field of view of 40 feet, since we are also targeting a ppf of greater than 40. Using the same value for two different measurements can be confusing. For people purchasing one of their 4K resolution cameras, just know that according to this rule of a minimum of 40ppf, the max field of view is 2560px/40ppf=64 feet. Using the popular RLC-410 camera, that has an 80 degree viewing angle, then basic trig gives us a max range of about 38 feet to identify plates. If you get the RLC-411 which can do the 4x optical zoom with a 36 degree viewing angle, this extends the max range to just under 100 ft. When I Google for the RLC-411, the RLC 410 comes up. I can’t find the RLC-411 to review. I was trying to review them side by side. Recently at my workplace we had cameras installed for the purpose of seeing number plates at about 10-20 meters. The guy said that we would be able to read plates easily with a 4 megapixel camera (dahua brand) and after installing we could only see number plates from about 6 meters without distortion. you can try a security camera with optical zoom function. This camera can identify license plate from 12 meters. And nowadays, there would be only a few home security cameras that can identify license plates from 20 meters. You can check this FAQ to see what the license plate visual distance of security cameras is. Hi Roean, that’s right! And there are more elements you need to take into consideration if you want to recognize license plates, such as the viewing angle of your camera. If you have more insights, share with us! You mentioned that, “a 1080p camera is 1920 x 1080 pixels, so the height is 1920.” Would the height not be 1080? A 1920 x 1080 image is 1920 pixels form left to right and 1080 pixels from top to bottom. Is it different on a security camera? Hello Ryan, it’s true that “A 1920 x 1080 image is 1920 pixels form left to right and 1080 pixels from top to bottom”. And 1920 means the horizontal resolution in a security camera. In the formula, I’ve stress that PPF= the camera’s horizontal resolution/the field of view to make it clear it’s the horizontal resolution instead of the “height”. Ahhh, ok. That makes sense. Thank you!